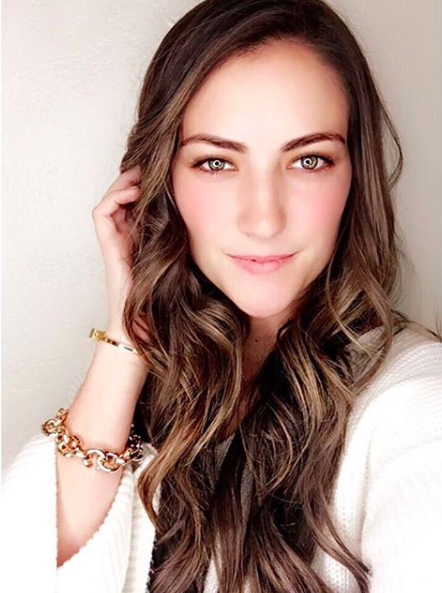 Before you get intimidated by this post…hear me out! Whether you are the type of person who could burn cereal, or someone who is giving Martha Stewart a run for their money, these recipes are simple and delicious and are guaranteed to be a hit at your Thanksgiving holiday. It will be many, many, many years before I’m ever hosting a full-blown Thanksgiving dinner myself, but I love trying out new recipes and cooking, and I think it’s an incredibly thoughtful way to contribute to an often stressful holiday. Your host will definitely appreciate the helping hand! Zucchini Muffins | While this isn’t something that necessarily comes to mind for the actual Thanksgiving dinner, I think this is the best one on the list. 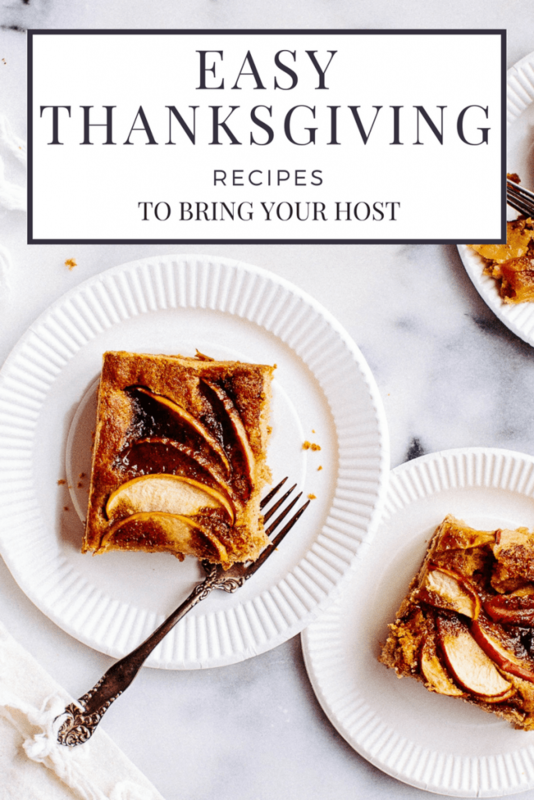 Most often, yours hosts will already have their dishes mapped out, but playing host for a holiday is a massive undertaking, especially if you’re also hosting relatives in town! The last thing any (sane) human would want to do after serving up a massive Thanksgiving dinner is to whip up a big breakfast the next day. These make a great and easy no-mess option for a host to lay out and have everyone help themselves and give a well-deserved break from more cooking! (Not to mention, zucchini muffins healthy and so yummy). Combine the sugar, eggs, and vanilla in a large mixing bowl and stir. Add the zucchini, then the melted butter. In a separate mixing bowl, add together the flour, baking soda, nutmeg, cinnamon, and salt. Stir this mixture into the zucchini mixture bowl to combine them. Coat each muffin cup with non-stick spray. Spoon the mixture into each cup completely and equally. Bake for approximately 20-25 minutes (until golden brown). Test with toothpick to ensure the center of the muffins are done. *You can find this original recipe here. Pecan Pie | This is one I’ve had for many years with my family, and it has finally been handed down to me. I’m really excited to give it a shot this year (and feel grateful that if I mess it up, we will have a backup!) Pecan pie is such a classic Thanksgiving dish, and one that thankfully people tend to want seconds of. Spray pie pan and place crust in pan (direction video for this below!) Place back in fridge until needed. Add all ingredients (eggs, sugar, Karo, butter, vanilla) in bowl and mix. Add pecans afterwards to the mixture to prevent clumping. Stir ingredients and spread evenly in pie crust. Bake for 50-55 minutes and let cool. *If you need instructions for how to lay a pie crust into a pie pan, I recommend checking out this brief video for reference! Pumpkin Pie Martini | Dessert cocktails are normally not my forte, and I usually opt for wine or a vodka tonic at all times…mainly because I like to avoid anything too sweet. This cocktail will not disappoint, even if you’re like me in that sense! You also don’t need any bartending skills whatsoever, but it will definitely look like you’re a pro! I got this from a family friend a few years back, and she ended up publishing it in her cookbook! Pour the cream liqueur and vodka into a shaker filled with ice. Top with a teaspoon of whipped cream. Garnish with a cinnamon stick and a sprinkling of ground nutmeg. Is anyone else feeling brave enough to try out a new recipe or two?! Gift Guide: My Essentials This Year! How to Make A Classic Mint Julep for the Kentucky Derby!